Very Positive (671) - 83% of the 671 user reviews for this game are positive. 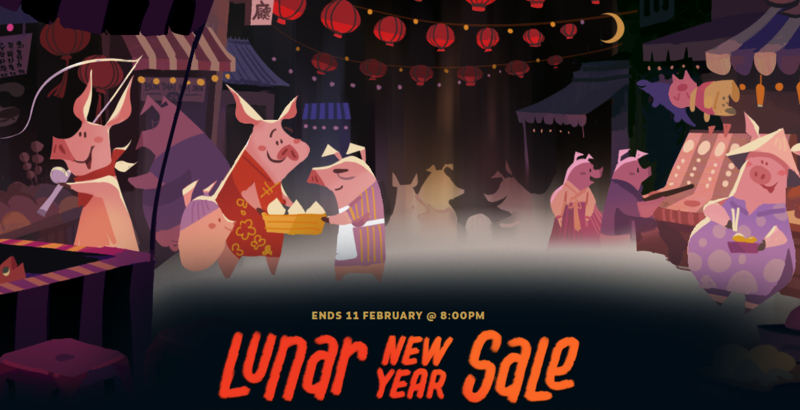 Congratulations on the 新年快乐 and the beginning of the Steam Lunar sale, of course! If there are still games that you didn’t have a chance to buy during the last sale, now is your chance, with discounts up to 90%. Add the games to your cart and go for it! To celebrate, we are reducing the prices of your favorite games by up to 90%! You can purchase some cool DLC and titles at the lowest prices for this year and expand your Steam library. And even the gloomy post-apocalyptic RPG INSOMNIA: The Ark is joining the promotion. This is a first for this shiny new game and it needs your attention. HeroCraft wishes you a fun weekend! Indirect-control soccer with Worms-like crazy weapons! Once you’ve finished FootLOL’s tournament mode, you can play against the computer or go online for gripping multiplayer. With the player who’s best at cheating winning, FootLOL is a funny old game!